Vote forFlinders Ranges, SATop Regional Destinations Which are Australia's must-visit destinations? You help us decide. While one's mental image of South Australia may typically involve rolling green vineyards or European-style architecture, the state's inner reaches are also home to some of the country's most ancient and rugged terrain. SA's Flinders Ranges region exemplifies this, with its rugged sandstone bluffs, dry creek beds and expansive panoramas that have been moulded by millions of years of weathering and shaping providing an outback-style landscape reminiscent of the Northern Territory. One doesn't have to venture to Australia's far north for a sampling of what many consider Oz's true outback, as South Australia's northern reaches do their own impressive job. Showcasing the stunning effects of millions of years worth of erosion and topographic change can have on a landscape, the region is utterly raw - exemplified to the fullest by the terrain of the vast Flinders Ranges. What was once an ancient seabed is now a cavalcade of peaks surrounding sandstone cliffs, dried up creek beds and deep valleys lined with a variety of native vegetation that makes for one of Australia's best, and relatively uncrowded, hiking destinations. Getting out and exploring this far-reaching and open part of the country rewards travellers with expansive and panoramic views of this typically-Aussie terrain that are especially magical at sunset as the already-reddish hue of the landscape is further enhanced by the sun's evening glow. The sheer scale and open spaces of the Australian outback are on full display when visiting the Flinders Ranges, as the backdrop of the rocky Elder Range and Wilpena Pound in the distance make for an impressive view that's far-reaching enough that even these huge landforms seem rather small in comparison to the overall panorama on display. In addition to the raw beauty of the landscape, this part of SA has its fair share of historical and natural highlights as well. Various sections of the Flinders Ranges were once inhabited by Indigenous Australians and as a result, several examples of Aboriginal rock art can be encountered throughout. These sites tell a captivating and engaging story which the trail guides are adept at retelling, allowing thousands of years of history to unfold right before your eyes. Colonisation by European settlers was once attempted in the Flinders; however, the harsh conditions made for a region that was not conducive to farming – however, its scenery soon thereafter made it a popular site for tourism and the focus shifted appropriately. Exploring the ranges is largely done via a blend of foot and 4WD vehicle, while its popular Arkaba Walk trail that winds its way through an area that has had its wildlife carefully controlled and monitored over the years is a truly epic hike. The region now features an increasingly abundant array of native mammals and birds which you may come across during the trek – you'll learn about all of this and more during the journey. As it lacks a clearly-defined track the Arkaba walk is typically undergone via guided tours that are conducted with an eye towards making the typical Great Walk experience more luxurious wherever possible. If you're looking for one of the most authentic doses of Outback Australia available, try thinking outside the traditional box of a tourist-filled, coach-bourne Uluru/Ayers Rock tour and instead look southwards towards South Australia's Flinders region – it's one of the closest locales to the likes of the Grand Canyon that Oz has to offer. Looking to pay a visit to the Flinders Ranges but not sure what to do? Here are some of the most essential experiences. What's new in the Flinders Ranges in 2017/2018? The Flinders Ranges ranked third most popular travel destination in all of South Australia according to tourism figures released by Tourism Australia. Fossils in the Flinders Ranges were documented as part of the Ikara-Flinders Ranges National Park's World Heritage listing. 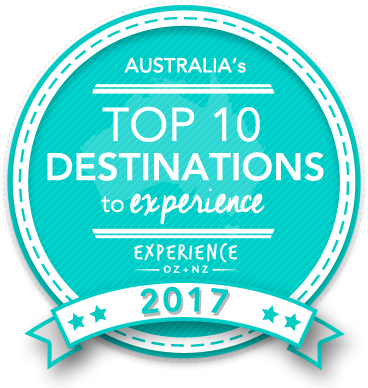 Is the Flinders Ranges Australia's Top Regional Destination to Experience for 2017? Vote now for the chance to WIN an epic trip to one of Australia's top destinations!